35 Things to Do in Bergen, Norway - Culture, Food, and Nature! 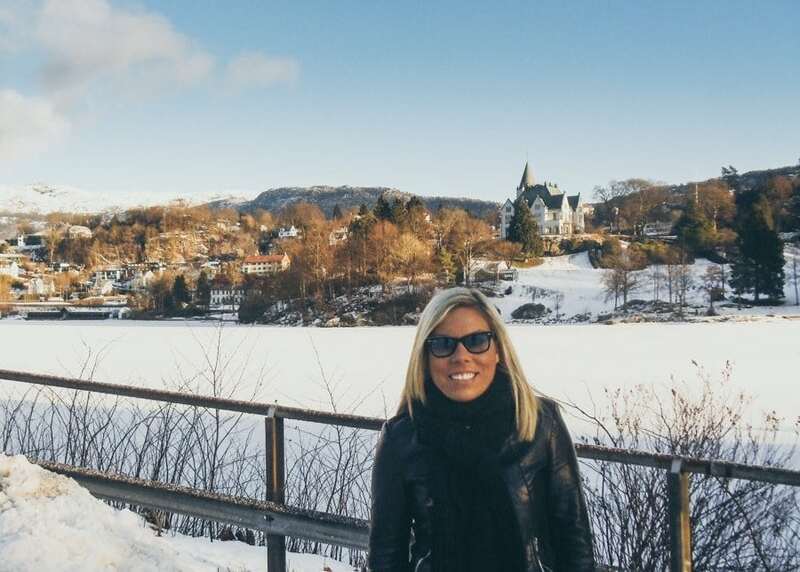 35 Things to Do in Bergen, Norway – Culture, Food, and Nature! Not many of you know this, but I used to live in Bergen, Norway. I spent a year there back at the beginning of this decade (gosh that feels like forever ago) and I have been there several times since. Norway’s rainy, west coast capital is an incredible place. And it is mind-blowingly beautiful. 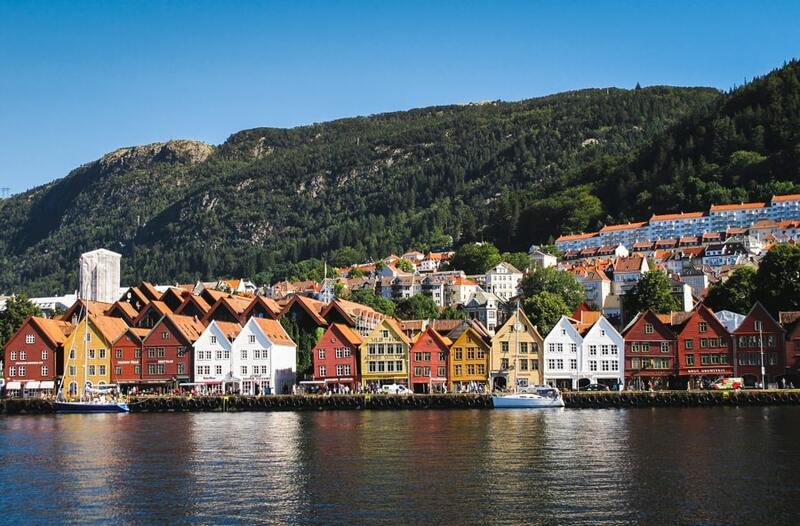 This is a guide to 35 things to do in Bergen, Norway – from culture to food to history. If you have any other recommendations, please drop them in the comments. When I first moved to Norway, I struggled to adjust because of the rain in Bergen. I eventually moved to Oslo. What a shame (but I loved Oslo). But Bergen was the city that delighted tourists. When my family came to visit me, I was so eager to drive them from Oslo to Bergen so they could marvel at the city which I swear is one of the most stunning and captivating in the world. And Bergen didn’t disappoint. For some odd reason, Bergen couldn’t give me an ounce of sunshine when I lived there. But, it graced my family with only sunshine the entire time we were in Bergen and they were befuddled about why I moved to Oslo. Truthfully, I couldn’t blame them for the questions and judgment… Bergen in the sun is like nothing I’ve ever seen before. There are several ways to get to Bergen. You can fly there or if you’re the type that wants to experience a luxury cruise, there is that option too as the harbor receives a lot of tourists off the boat. The train ride from Oslo is also known to be one of the most gorgeous train rides in the world (I have taken this train so many times). The guide of things to do in Bergen is not comprehensive as there are heaps of things to do there. But, it is a good start for travelers who want to explore the depths of the Hanseatic city. 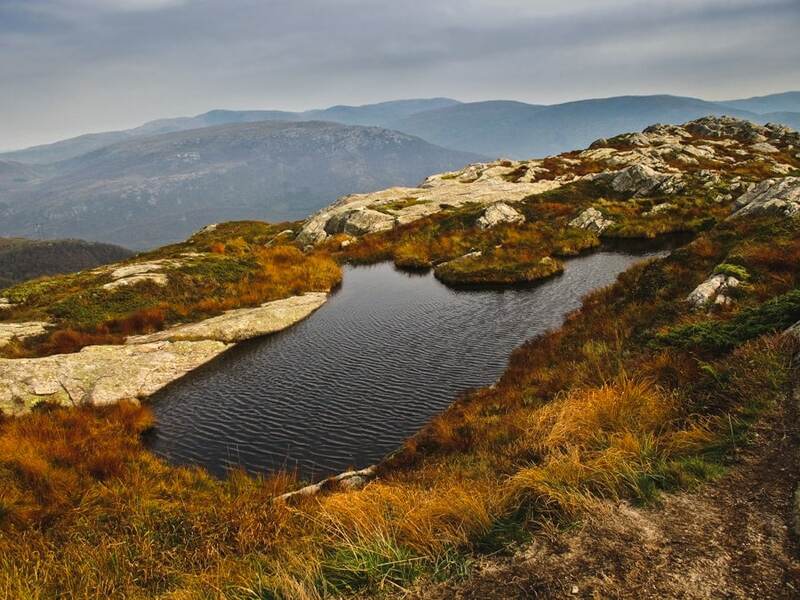 It also includes quite a few day trips from Bergen for the person who wants to experience Norwegian nature removed from the city. Norway is the most personal country I have ever been in. 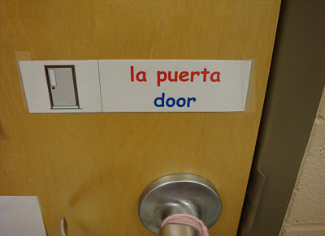 I am not sure if that is the right term, but it feels that way. You can literally rock up to the King and Queen’s west-coast home and chill out in the park that surrounds it. You can sunbathe, grill out, and enjoy a few drinks while socializing with friends. While I always enjoyed Gamlehaugen more in the summer than in the winter, it is something that is fun to visit any time of the year. You can visit Gamlehaugen at Gamlehaugvegen 10 in Paradis. Bergenfest has been around for over 25 years and is one of the city’s most popular music festivals. There are a variety of musicians, bands, and artists that are invited each year and the festival is an absolute blast. The best thing about the festival is perhaps its location. Bergenfest takes place near Bryggen and Bergenhus Festning- making it one of the most unique music festivals in Europe. Norwegians are really into music and festivals like this proves it. Click here for tickets and program. Another festival located around the Bergenhus Festning (fortress) is the city’s craft beer festival called Bergen Ølfestival. I actually went to the inaugural beer festival in 2012 and it has just grown leaps since. I really can’t wait to venture back there and check out some of the new breweries. At the Bergen Ølfest, you will find craft beer as well as some of the larger domestic beer brands. 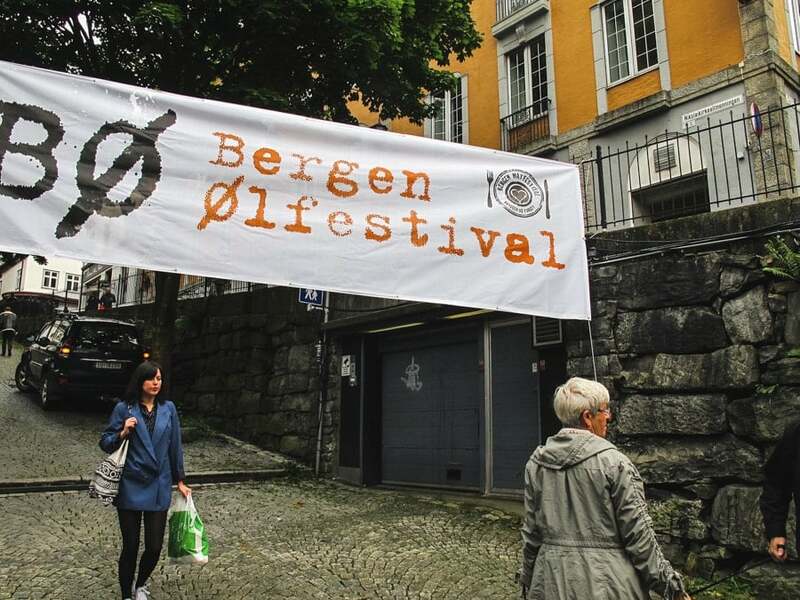 You can visit the Bergen Ølfestival at Bergenhus 10. 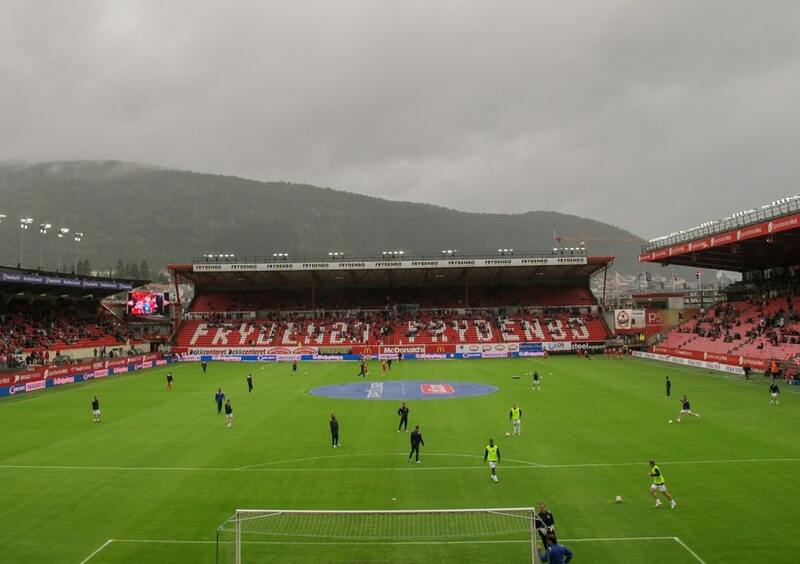 I love sports and when I was in Bergen, I attended as many Bergen Brann matches as I could. The stadium is covered so you don’t get wet (because it will inevitably be raining) and the atmosphere is a lot of fun. Bergen fans are loyal and kind of remind me of Steelers fans (my American football team). I definitely recommend taking in a game if you’re a sports fan and one is happening while you’re visiting Bergen. You can find the stadium at Kniksens Plass 1 in Bergen. 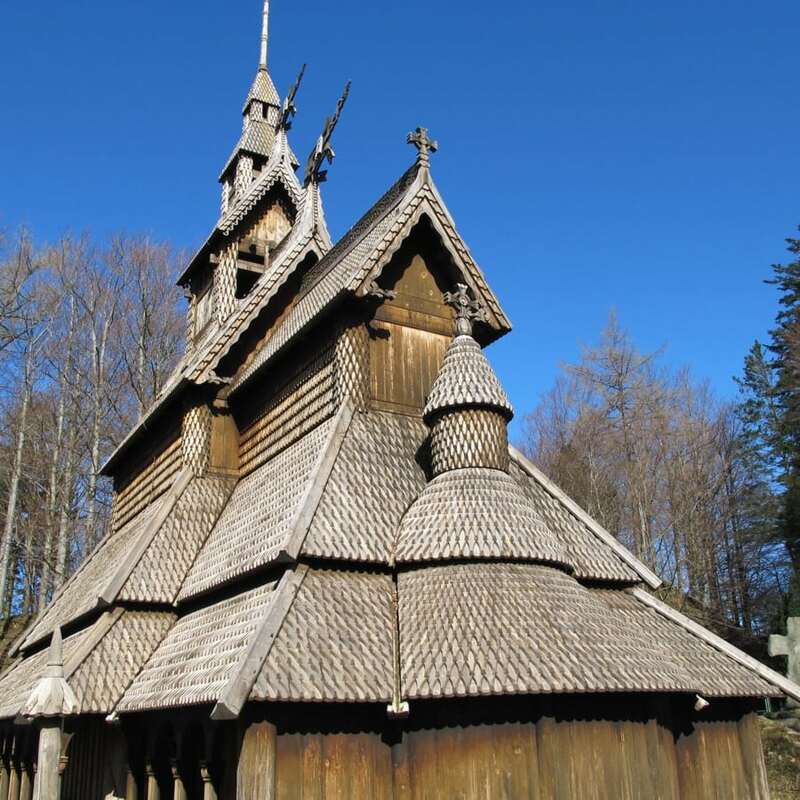 In Fana, you will find one of Bergen’s most recognizable sights, the Fantoft Stave Church. Although reconstructed, it is still mind-blowing knowing that this church dates back to 1150, originally built near the Sognefjord. In 1992, the church was destroyed by arson… of which Varg Vikernes, a Norwegian Black Metal singer, was accused of. He was found not guilty in this particular instance but was convicted of the arson crimes on the other churches around Norway. Nevertheless, Stave Churches are unique to Norway and are an essential thing to do in Bergen if you’re there. You can find the Fantoft Stave Church at Fantoftvegen 38. In the city center of Bergen lies Torgallmenningen, a famous square and shopping area. Torgallmenningen is kind of the ‘meeting point’ in Bergen, but pretty much everything is located within close proximity of the square. There are often events there and there is far more shopping located in the area than most places in Bergen. This is the place to spend a lot of money. You can find everything from Scandinavian-designed furniture to affordable shops like H&M, Bik Bok, and Cubus. Norwegian history is based mainly on being a port city and having convenient and strategic access to the Atlantic Ocean. Its seafaring past can be seen at the Bergen Maritime Museum, a museum in Bergen where one will find artifacts, ships, and films about the sea’s role in shaping the city of Bergen over the years. 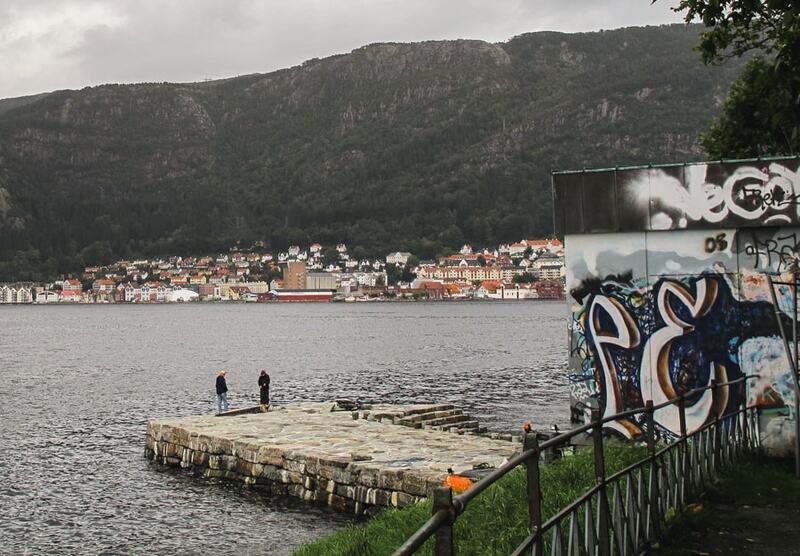 If you’re a museum-lover, this should be on your list of things to do in Bergen. 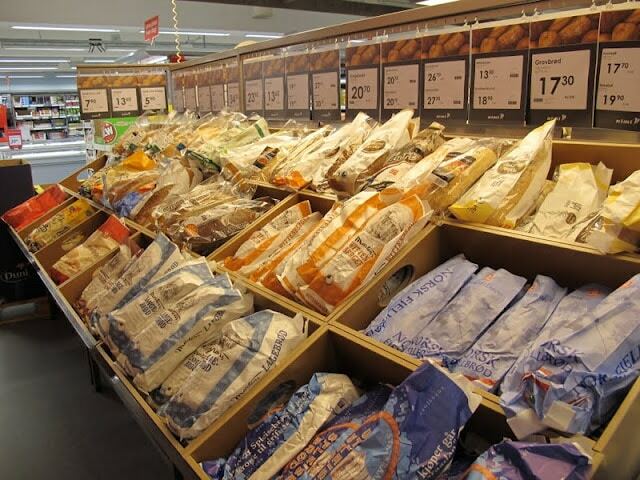 You can find it at Haakon Sheteligs Plass 15 in Bergen. Bergen’s pride and joy is Edvard Grieg, one of the most famous composers in all of the world. 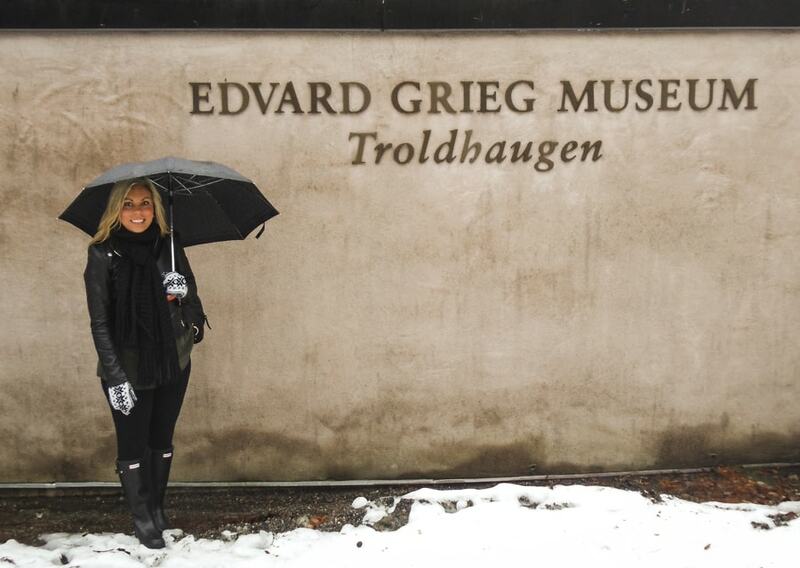 In Bergen, you can visit his former residence, Troldhaugen, where you will find the Edvard Grieg Museum, his villa that overlooks Nordås Lake, the hut where he composed his music, and his gravesite alongside his wife’s gravesite. I have only been out here once and it was back in 2010. I assume that since it is a museum and historical site, it probably hasn’t changed too much. You can visit Edvard Grieg’s former home at Troldhaugen by going to Troldhaugvegen 65 in Paradis. I like to pretend I’m a hiker. I’m not. Don’t let me fool you by acting as I go on extreme hikes. I did hike from Fløyen to Ulriken back in the day though. Bergen has seven mountains surrounding it. Fløyen is likely the most popular amongst tourists but Ulriken is the tallest and grandest of them all. This hike took me all day and then I took the cable car down from Ulriken to Bergen city. I nearly passed out on this cable car. I rate this hike as easy. I’m just that pathetic. Nevertheless, do take that cable car up to Ulriken and check out the views. Or, if you’re in better shape than me, which you have a 99% chance of being, hike from Fløyen to Ulriken. It is really a cool experience! Looking for that familiar view over Bergen? Take the Fløibanen funicular up the Fløyen mountain and voila! There you have it. The funicular can be reached near the harbor and you can buy your tickets round trip (student discounts available). Interestingly enough, some people use this funicular as their everyday transportation and you will see it stop once or twice on the way up. At the top of Fløien is a killer view, souvenir shop, and cafes and restaurants. There are also some lush forests up there. You simply can’t leave Bergen without doing this and soaking in Bergen from above. Nygårdsparken is Bergen’s largest urban park and is one you will likely pass through at some point during your trip to Bergen. Aside from many ladies feeding pigeons in the park (why, people!?) the park a pleasant place to stroll around and take in the city from a distance. It is a relaxing place and just a stone’s throw away from the hustle and bustle of the city center. Another popular park in Bergen is Byparken. This park is located in the ‘sentrum’ and is extremely photogenic. 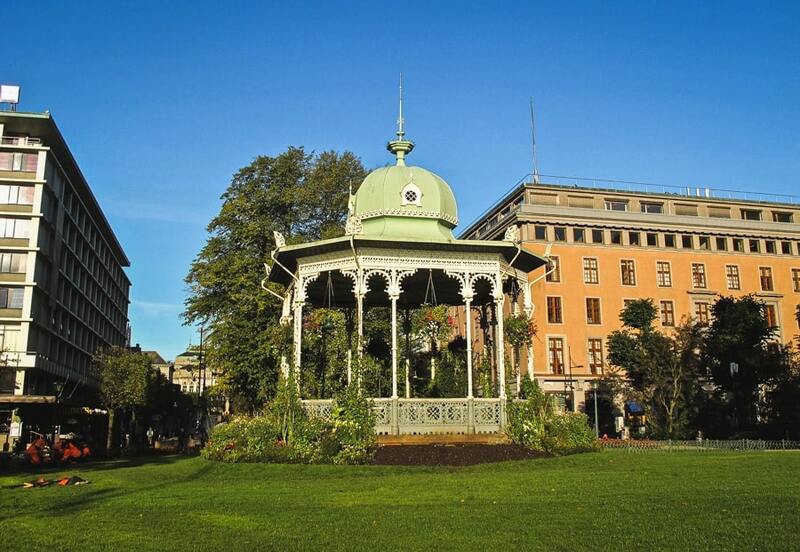 Inside of it, you’ll find a music pavilion (resembles a gazebo) as well as a statue of Edvard Grieg. Byparken is at the crossroads of many of Bergen’s most popular sites and you will definitely find yourself inside at some point or another. Take some photographs if it is sunny- it was always one of my favorite things in Bergen under blue skies. You can find Byparken in the city center. I actually discovered Nordnesparken by accident when I was living there. Strolling around the city after the Bergen food festival, I landed in Nordnesparken, a park that overlooks the sea and even has a totem pole paying homage to sister city, Seattle. There were a lot of playgrounds and quiet spaces (meaning I was the one using the playground, not local children) within the park and it was such a breath of fresh air in Bergen to stumble upon Nordnesparken. If you’re looking for quiet things to do in Bergen, add this wonderful green space to your list! 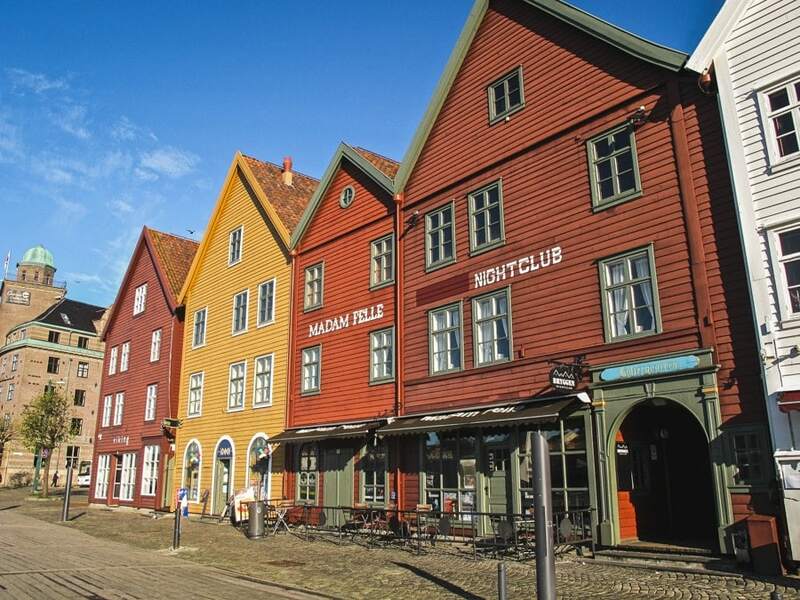 If you’ve seen one photo of Bergen prior to traveling there, you have likely seen a photo of the charming, wooden harbor buildings called Bryggen. These colorful buildings are a historic masterpiece of the city and are even listed as a UNESCO World Heritage Site. The Hanseatic buildings mark some of the origins of the city (founded in 1070) and now are home to museums, shops, restaurants, bars, and cafes. They sit on the eastern side of the Bergen harbor (Vågen). 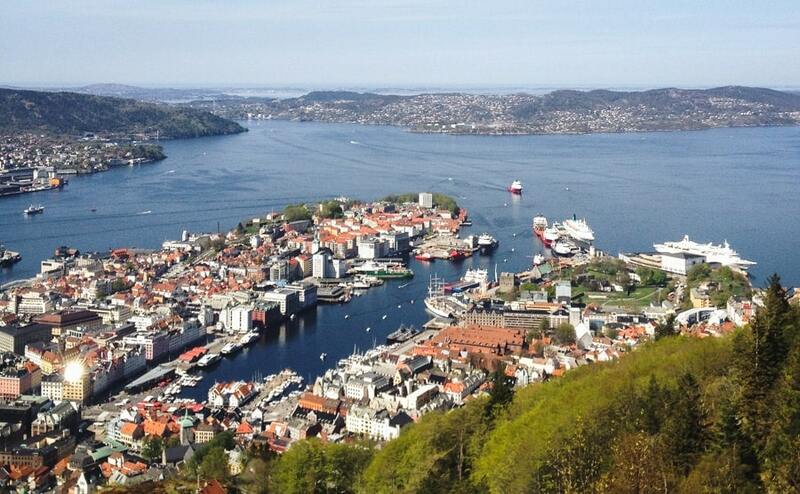 As if Bergen couldn’t get more idyllic and perfect… it has a fortress located directly on its harbor. Bergenhus Festning is one of the best-preserved stone fortifications in all of Norway and it is definitely worth a visit and one of the essential things to do in Bergen if you’re there. The fortress dates back to the 1240s and despite being a main Bergen attraction, you can find peace and quiet within its walls. It is one of my favorite places to visit in Bergen, actually. You can find it at the harbor near Bryggen. Okay, so this is kind of part of the Bergenhus Festning, but it definitely deserves its own place on this guide as it is a really cool place to visit in Bergen. The Rosenkrantz Tower was built by Erik Rosenkrantz, the governor of the Bergen Castle, in the 1560s. The tower is considered one of the most important renaissance monuments in all of Norway and you can climb its narrow stairs and get an impressive view over the Bergen harbor. There is a fee to visit the Rosenkrantz Tower and the hours vary depending on the season. 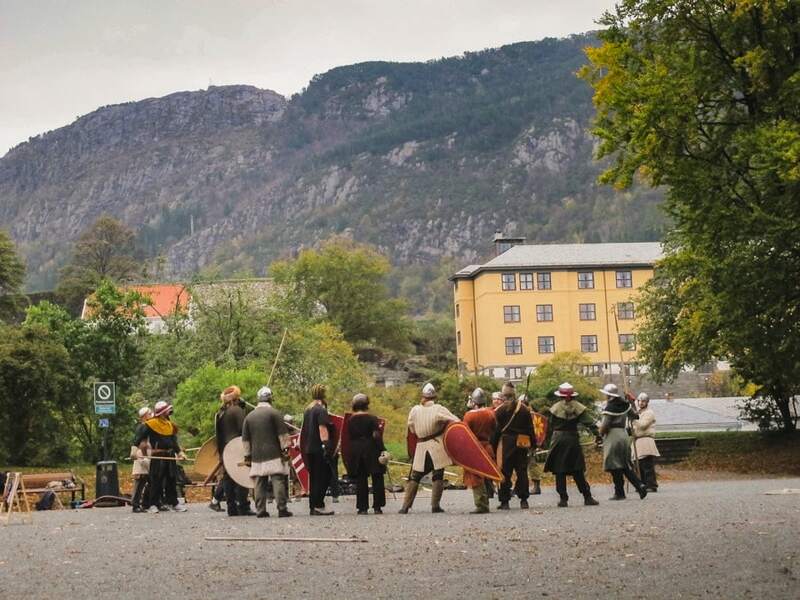 If you’re into history, this is one of the best things to do in Bergen. Perhaps Bergen’s most charming quarter, Gamle Bergen is the city’s ‘open-air’ museum and area where you can explore the history of the city. 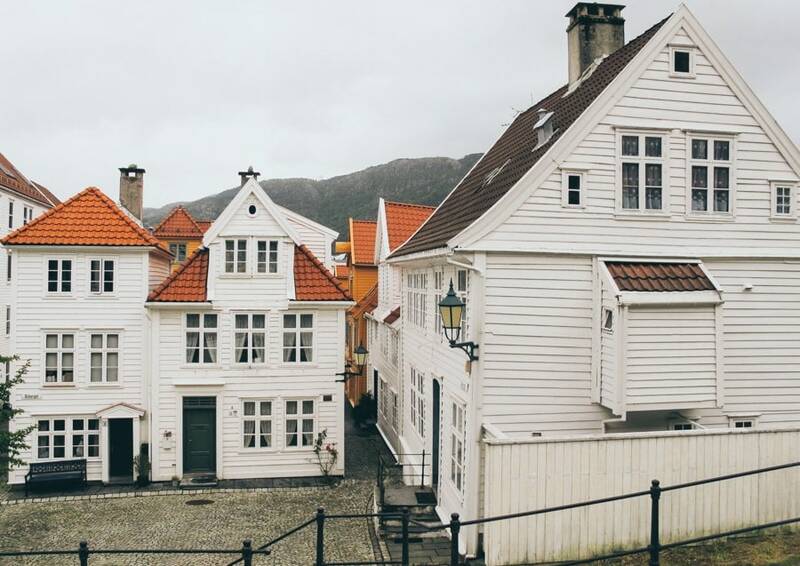 Bergen was the largest wooden city in Europe in the 1900s and Gamle Bergen boasts 55 wooden houses from various eras and decades showcasing this history. 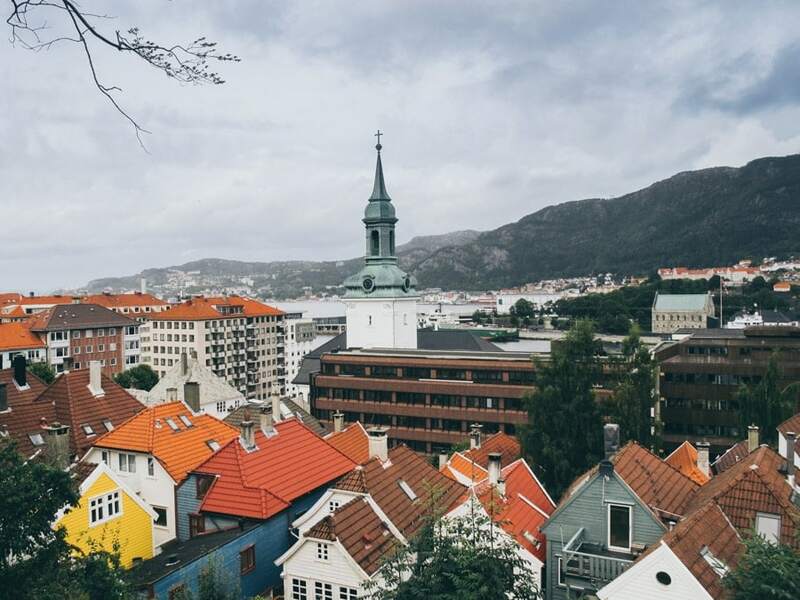 This is truly one of the most Instagrammable places in Bergen. And for the record, I hate the word Instagrammable. So consider this a heartfelt tip. You can find Gamle Bergen and the open-air museum at Elsesro, Nyhavnsveien 4. I legitimately have no idea how I first discovered or heard about Lysekloster Monastery in Os Kommune. I lived in Os, but there was no reason for me to ever venture here but I am glad I did. 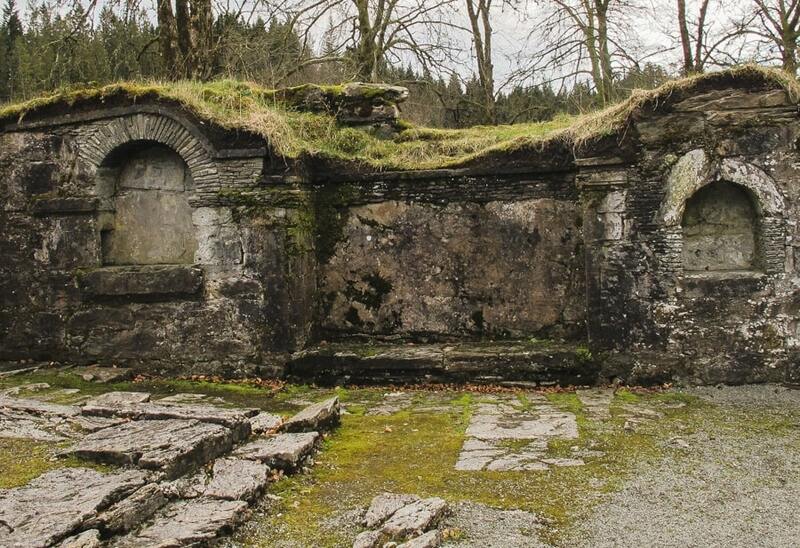 The monastery is actually in ruins but is worth a Sunday stroll as you can rock up to it without a fee or anything and chill out. The Cistercian monastery was named ‘Lysekloster’ for the fjord it was situated on, the Lysefjorden. You need a car to get here, but if you have one hired and are looking for something totally off-the-path and unknown to most anyone (even some locals), take a trip there. Lysekloster can be found in Os Kommune a bit outside of Bergen. Prior to moving to Bergen, one of the few things I knew about the city was that it had amazing and fresh seafood. 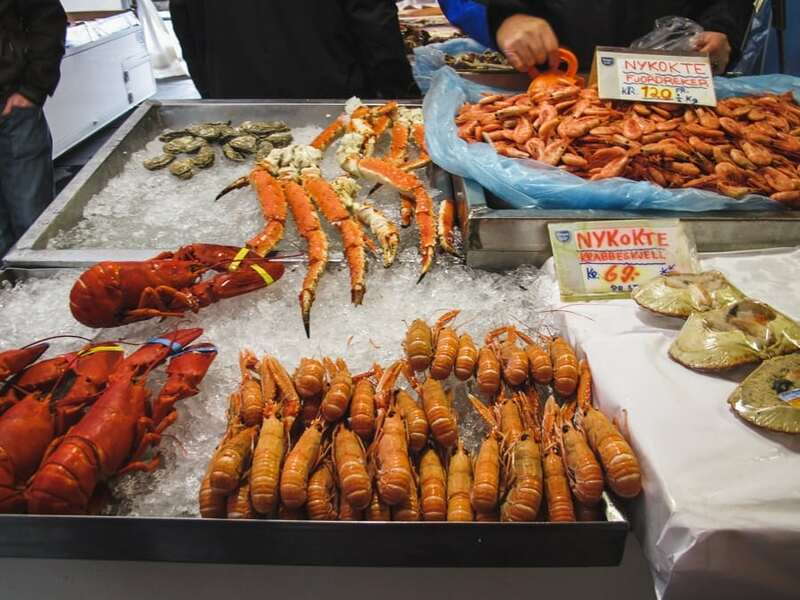 You can see the best of Bergen’s seafood industry at the Bergen fish market on the main harbor. While it is not as large as some may suspect, it is certainly one of the most iconic spots in Bergen and is worth the visit. You can find everything from freshly caught shrimp to cod to whale meat (sorry, whoever will contest that on here). The fishmongers are friendly and ready to answer any questions you might have. The Bergen Fish Market is located right on the sea at the main harbor. Holy crap is Norway’s beer scene one of the most underrated things about the country. And 7 Fjell is proof of this. ‘7 Fjell’ means ‘Seven Mountains’ which is the symbol of Bergen (okay… that and rain… but it keeps those mountains green and luscious). 7 Fjell is a craft brewery in Bergen and their branding is as good as their beer. 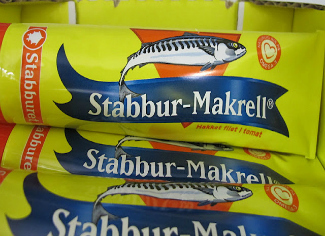 I wish they had existed when I lived in the city but I, fortunately, have had a few opportunities to enjoy their products in other locations of Norway. They have a tap room that exudes Scandinavian minimalism and intelligent design. I highly recommend taking a trip out to Bønes and visiting the 7 Fjell Tap Room on your trip to Bergen. You can find 7 Fjell’s Tap Room at Fjellsdalen 5 in Bønes. 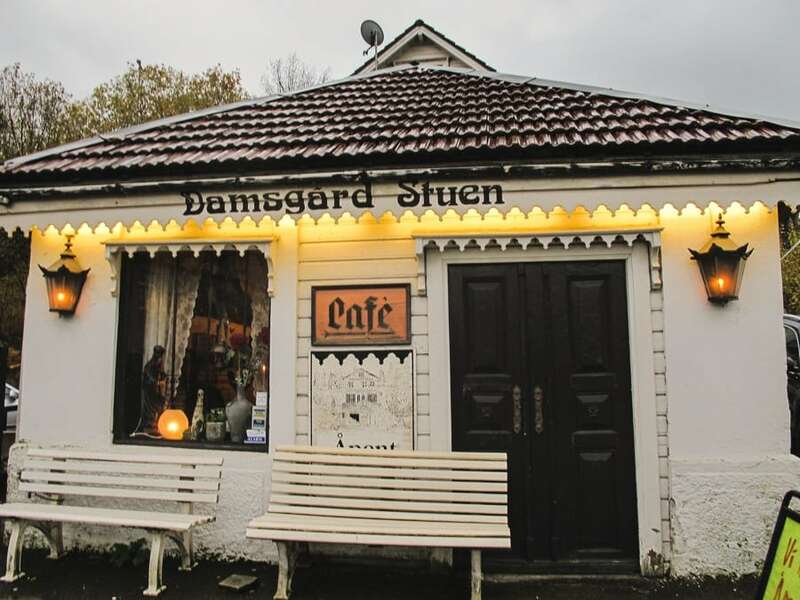 I constantly am asked where to eat in Bergen and I always mention the same place- Damgårdstuene. It is definitely off-the-trodden path and a local Bergen secret, but it is so worth the trip out there. The restaurant is just as charming on the inside as it is on the outside. They serve the best komle, or raspeballer, in the city- I swear it! The dishes are truly representative of Norwegian cuisines and especially the cuisine of Bergen. 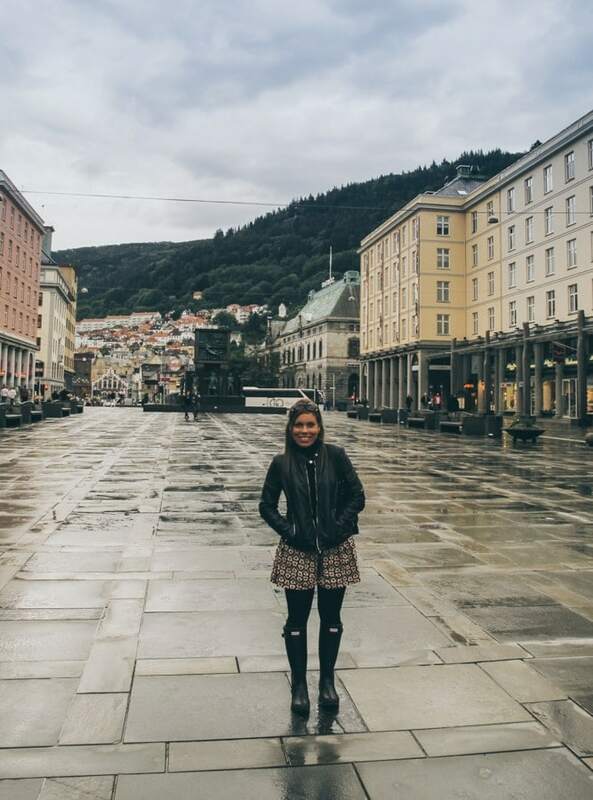 If you’re looking for authentic and local things to do in Bergen, go here! You can find Damsgårdstuene at Damsgårdsveien 120 in Laksevåg. Pinnekjøtt. You either love it or you hate it. I just so happen to love it. It was my favorite thing about a Norwegian Christmas and I made sure to get as many Julebord (Christmas dinner) requests as possible so I could eat it as much as possible. Pinnekjøtt is a cured, stick meat of lamb/sheep and it is more or less steamed for hours until it basically falls off of the bone. It is served alongside kålrabistappe (a rutabaga mash) and boiled potatoes and my mouth is actually watering as I type this. You can find this traditional Christmas meal in other parts of Norway, like the Lofoten Islands, but it really is symbolic of Bergen. Is it Christmas yet? When in the city, I often had a hankering for something cheap and delicious. I never had to look far and would always end up with a cup of Bergensk Fiskesuppe, or Bergen fish soup. There are so many places you can find this, but I love buying around the fish market area and sitting on the harborside eating it. The soup is creamy, hearty, and thick and comforts you well on the dreary and chilly Bergen days. Inside of the soup, you will usually find potatoes, leek, and various types of fish (salmon and cod, most notably). It truly is something that reminds me of living in Bergen and I can’t wait to head back and have some one day soon. 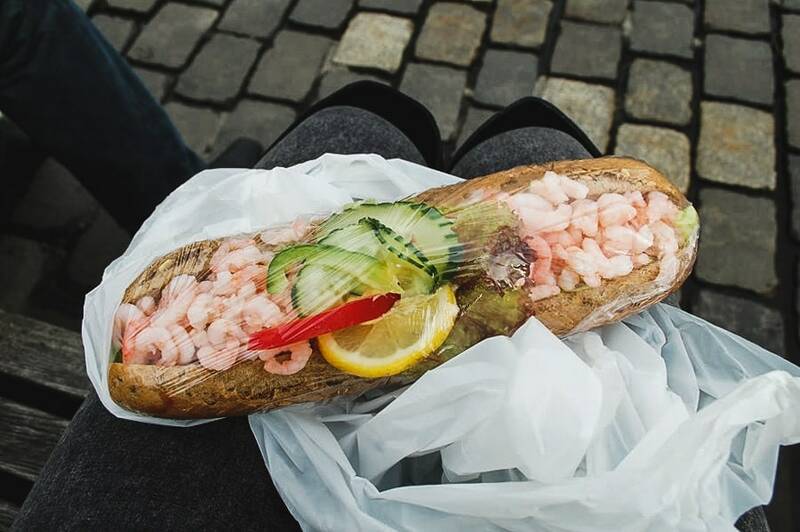 Another favorite of mine in Bergen was to grab a reker and majones (shrimp and mayonnaise) sandwich. These come either in smørbrød style (an open-faced sandwich that is traditionally Danish but found almost everywhere in Scandinavia) or baguette form. I don’t discriminate and I eat them all. Usually served with a lemon, if you find one of these sandwiches by the harborside, you can bet that the shrimp were freshly caught and are incredibly tasty. 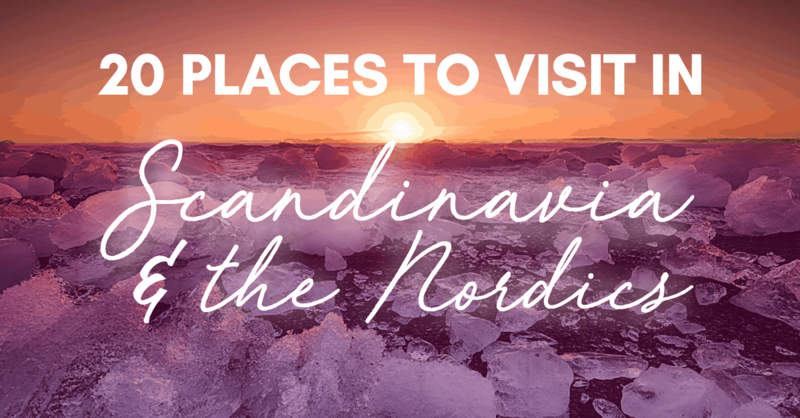 Want to feel even more Norwegian? Buy a bundle of these yourself with a tube of mayonnaise, sit at the harbor or in a park, peel them and make your own sandwich. When I say I ‘lived in Bergen’, I actually lived a bit outside of it- in Osøyro. 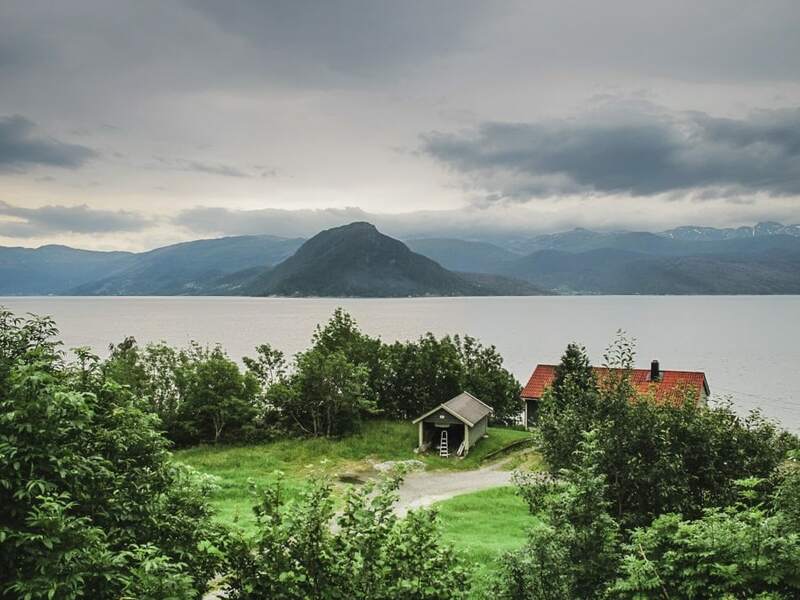 Located in Os Kommune and most commonly just referred to as ‘Os’, this small city is situated right on the Bjørnefjord and is one of the most underrated places in Norway in terms of beauty. My apartment was located directly on the sea and I could smell the salt water from my window. The Bjørnefjorden is one of the larger fjords in western Norway and on clear days, I could see the Folgefonna glacier from it. How freaking incredible is that? 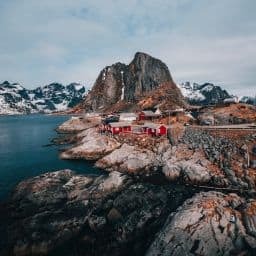 If you’re looking for obscure things to do in Bergen and want to get outside of the city and have a car or want to tackle the local bus system, check out Os. Hardangerfjord is the second longest fjord in Norway next to the Sognefjord and the third largest in the world. It is one of my most recommend day trips from Bergen. 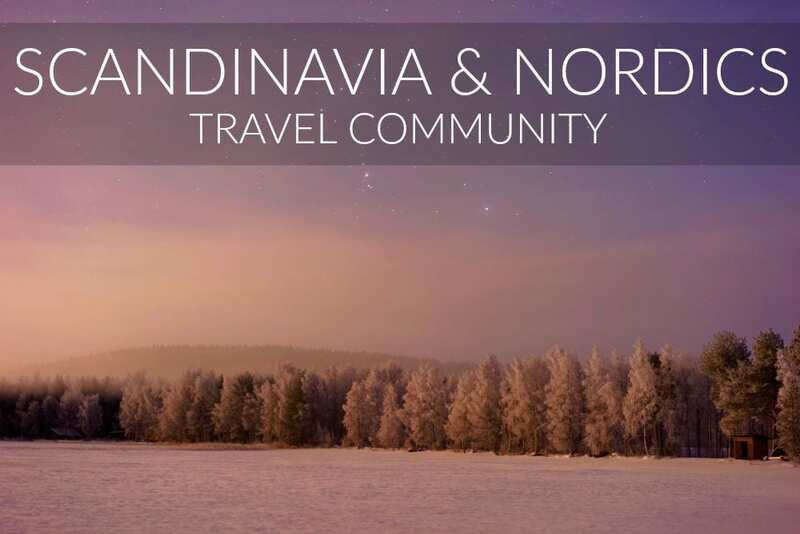 The region and fjord area are known for charming, beautiful towns and apples. Okay, a lot more than just that, but it is what I remember about the Hardangerfjord area. 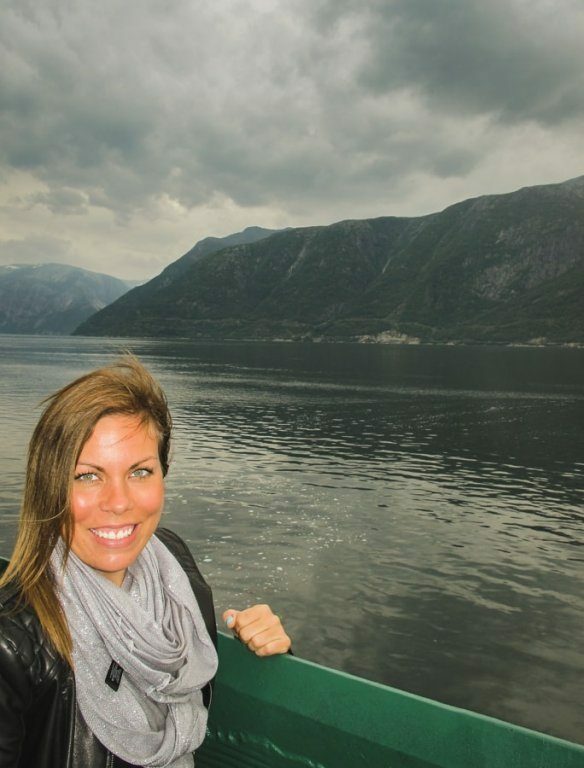 It is an easy day-trip and you can take a ferry across it to other stunning, Norwegian sites. The famous rock, Trolltunga, is located atop the Hardangerfjord, as well. As is Vøringsfossen, Norway’s most famous waterfall. This is definitely one of the best places to visit near Bergen. The city of Voss is likely a familiar one for people around the world all as a result of a certain famous water that comes from there. Well, sorry to spoil things, but Voss water isn’t actually from Voss, but who cares? The city itself is one of the best places to visit on your Norway trip. Voss has an association with being the extreme sports capital of Norway and rightfully so- many extreme events are hosted in the city. The city is insanely beautiful and if you’re an American football fan, you might be interested to know that Knute Rockne was born here. 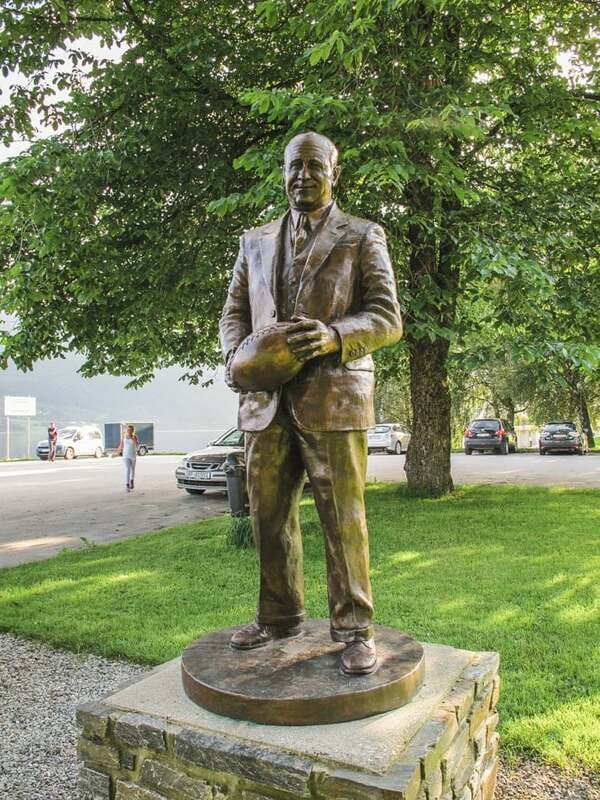 There is even a statue dedicated to him in the city. His family later emigrated from Norway to the United States (Chicago) and the rest is history. My grandfather was the world’s biggest Notre Dame fan so I loved going here and taking photos of the statue for him. My sisters and I even took a photo of ourselves around it and framed it for him. 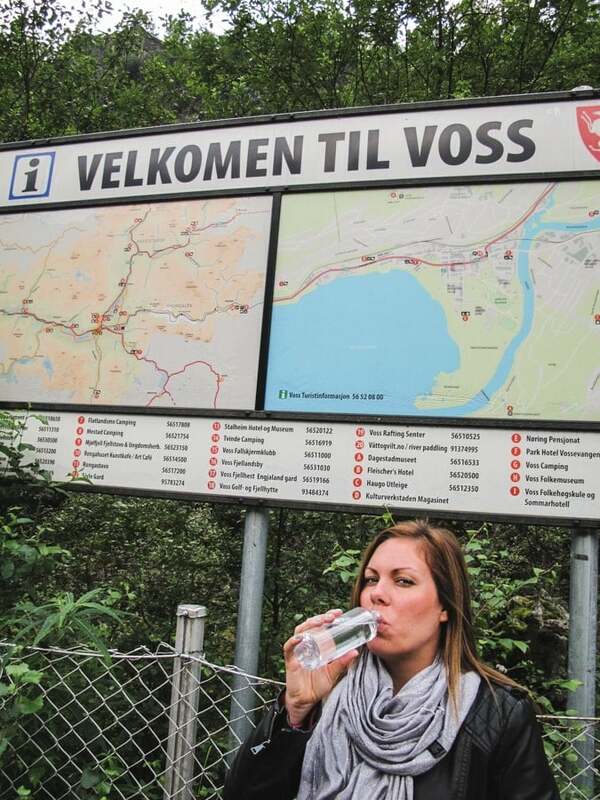 American football fan or not, Voss has something for everyone and is extremely family-friendly. From Os where I lived, I was able to see the Folgefonna Glacier on most days, especially when the weather was clear outside. Folgefonna Glacier sits inside of Folgefonna National Park in Odda area and is easily one of the best places to visit in Norway. 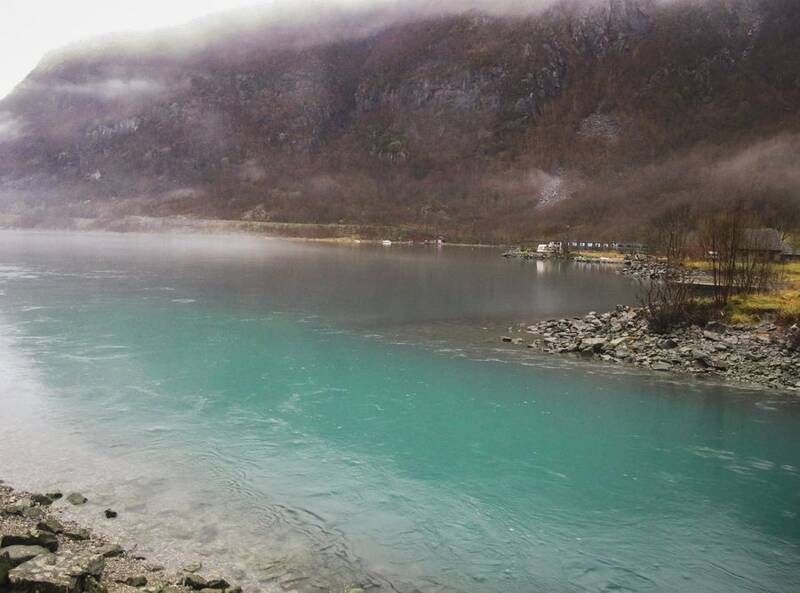 The area surrounding the glacier is teeming with aqua streams from glacial runoff and the fjords are magical. Even if you don’t make it into the park, the drive alone is so ridiculously pretty that you’ll be mesmerized by the scenery. It takes a couple of hours to get there from Bergen, but add it to your list if you’re addicted to nature like I am. If you continue past Voss, you will come across Stalheim, a village that sits high in the Nærøydalen (Nærøy valley), and right on the E16 highway. There is a hotel there called the Stalheim Hotel and it has historic WWII ties. If you continue driving, you will have to drive down into the valley a bit more and you will experience a lot of twists and turns as you’re on Stalheimskleiva, Northern Europe’s steepest road. I filmed the drive years ago and unfortunately can’t find the video, but it is definitely worth the trek out there! As strange as this may sound, one of my favorite things about living in western Norway was seeing the sea. But sometimes I just wanted to see the sea without mountains in the background or in fjord-form. This is where Austevoll came into play. I would go out to this small village on the sea and do a bit of coastal hiking. 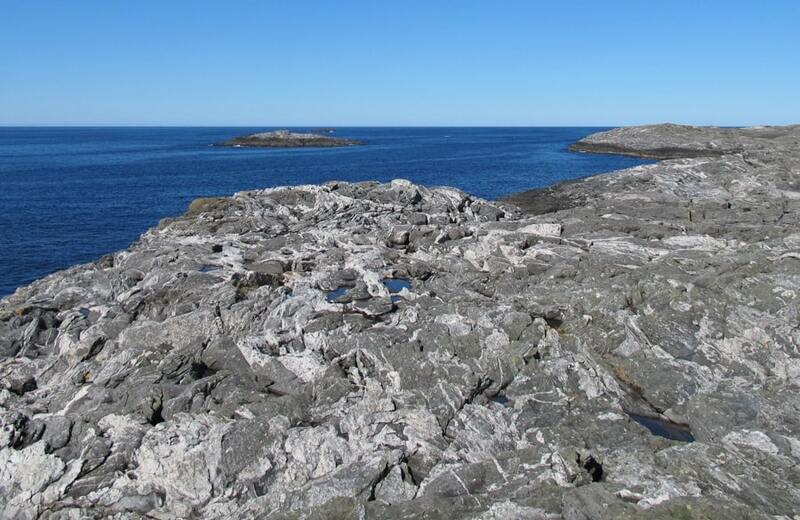 There are rocks all along the coast and it makes for a really cool day trip from Bergen. You pretty much need a car to make the journey to Austevoll but I can assure you that you’ll have the area all to yourself. Minus a sheep or fifteen. 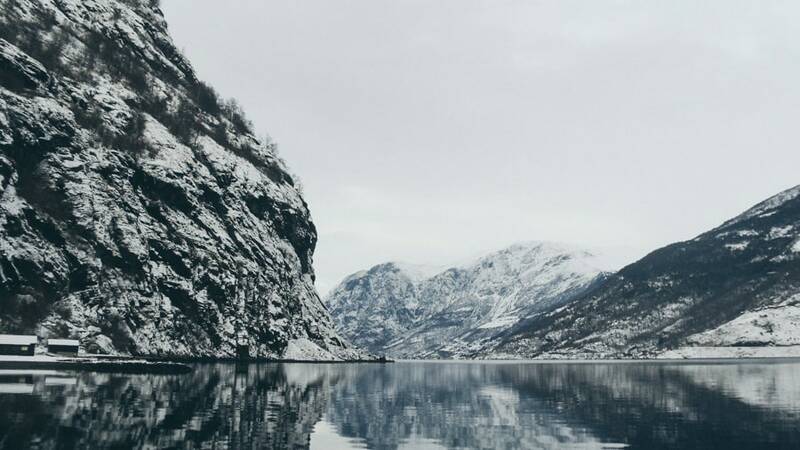 Flåm is one of the most talked about and visited fjords in Norway and its beauty and stillness is the reason. I have visited several times and it never fails to make my jaw drop. Many of the ships stop in the fjord and there can be an influx of visitors here and there but I totally deem it worthy of the trip from Bergen. If you’re a craft beer fan, you’ll be delighted to know that there is a really awesome brewery there called Ægir. Can I please move there? 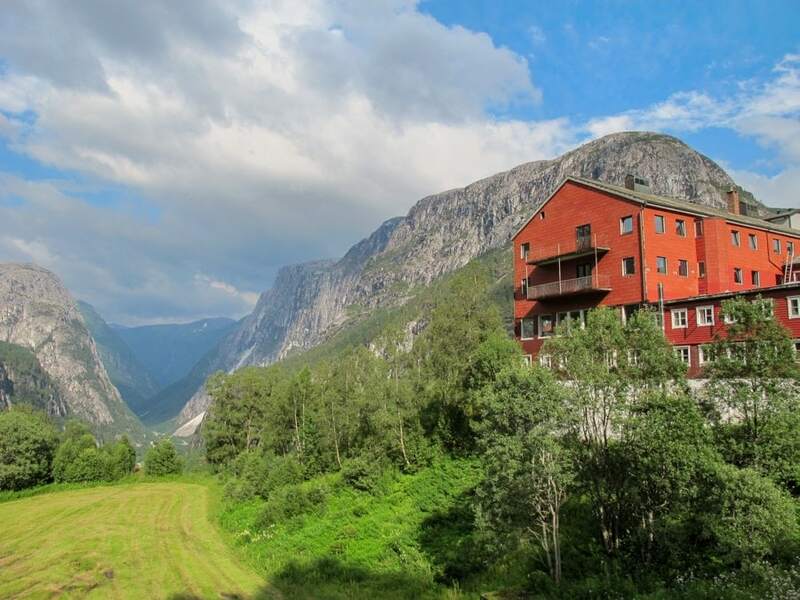 (Actually, the Norwegian government used to pay people to live in Flåm because it was so far removed from society). Another Instagram-worthy place in Bergen (wow… I’m really promoting the ‘gram on this guide a lot), Ytre Markeveien is one of the most charming streets in all of Bergen. The cobblestone street takes you back in time and you can explore tons of little shops, cozy cafes, and restaurants while walking along this notable street in Bergen. Norway’s contribution to world music is actually probably more than you even realize and Bergen is home to so much of it. 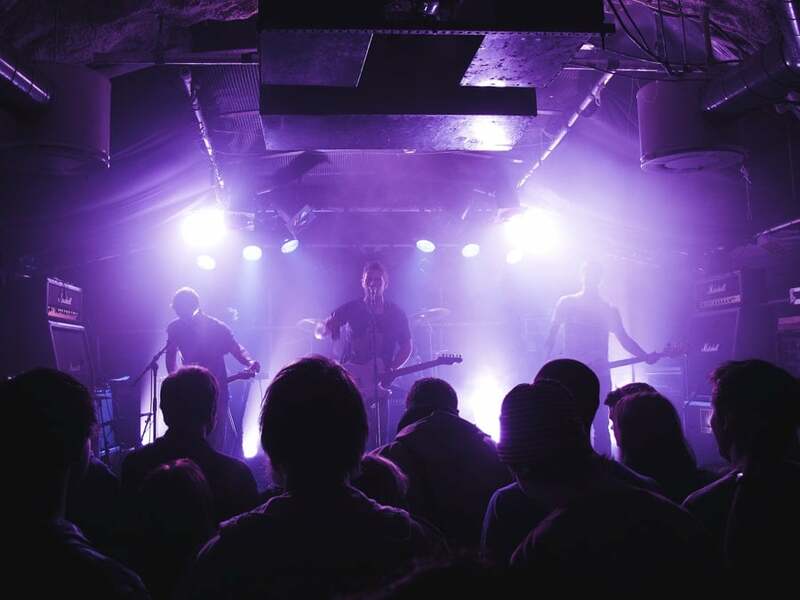 Norwegians are brilliant musicians and have established their place in the world’s music industry and there is nothing I love more than supporting local musicians when in Bergen. Kygo, Kings of Convenience, Edvard Grieg, Sondre Lerche… all Bergensers. Remember that crazy song ‘The Fox (What does the fox say?’ Also comes from Bergen comedians, Ylvis. Basically, this small, Norwegian city has produced some really remarkable musicians… and songs that shouldn’t have gone viral but did. If you’re in the city, ask around to see what is happening and what local concerts or shows are going on. 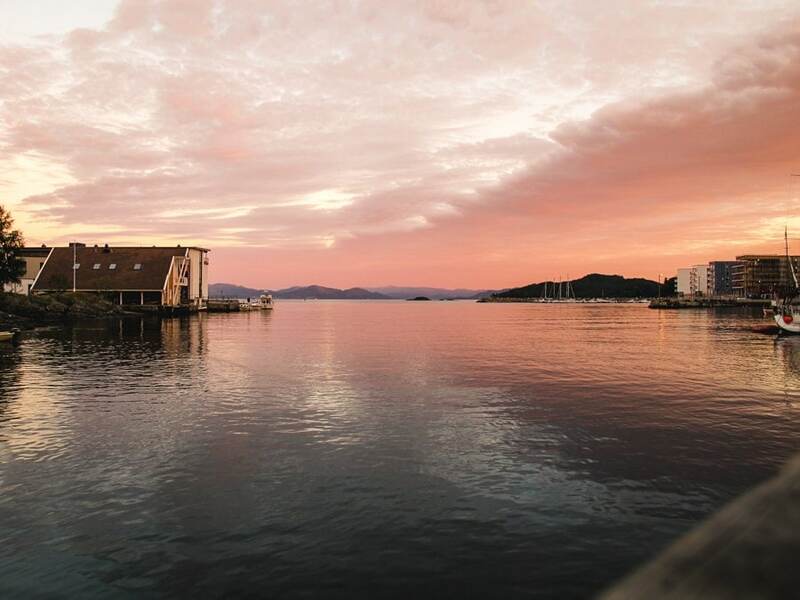 It is one of the best things to do in Bergen. Something I never took the time to do was swim in the seawater pool at Nordnes Sjøbad. I really regret that but I guess I am just always cold anyway and it wouldn’t have been a delightful experience for me. This pool is located near Nordnes park in that neighborhood of the city and is a must visit. If not for anything more than just the view. You can find Nordnes Sjøbad at Nordnesparken 30 in Bergen. Every dreamt of a gingerbread wonderland? Okay, probably not, but if you have… you’re in luck because one actually exists in Bergen, Norway. Pepperkakebyen, or Gingerbread City, is a large exhibit that takes place yearly in Bergen and showcases and an entire city made of gingerbread. It is a must-see in Bergen if you’re there during the Christmas season. 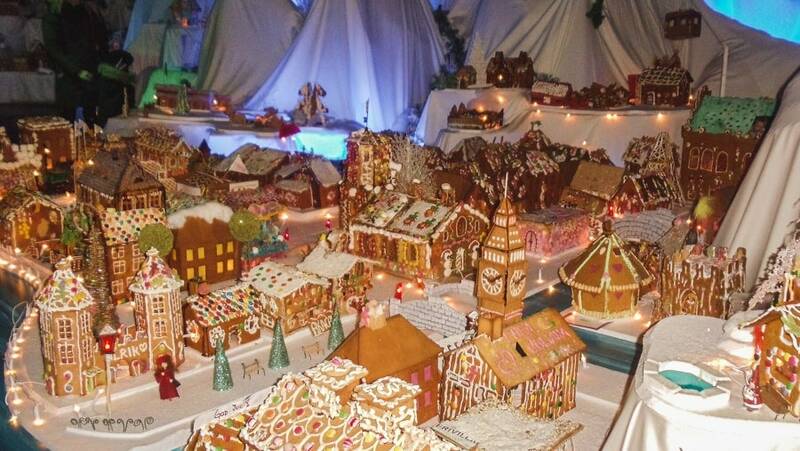 School children will construct gingerbread houses and symbols of Bergen and submit them to Pepperkakebyen. It really is one of the most unique things to do in the city. You can find the Pepperkakebyen during the Christmas holidays at Teatergaten 30-22. I am currently working on a Bergen hotel guide which I will attach here once completed. 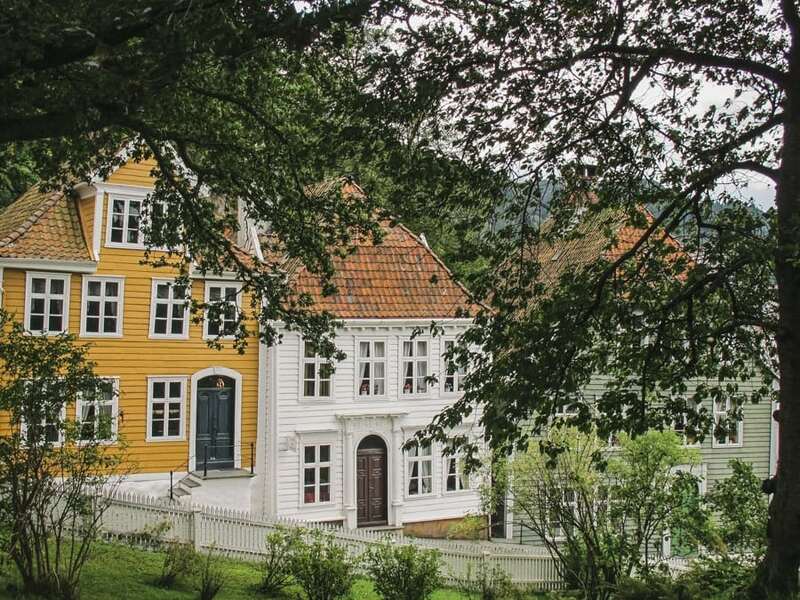 But, if you’re looking for awesome places to stay in Bergen, you can view your options here. 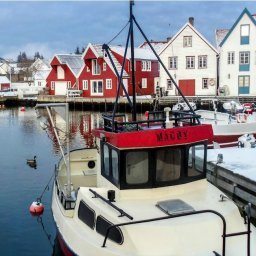 There are so many things to do in Bergen but hopefully, this guide will give you an idea of where to start as you figure out what to do in Bergen. If you have other recommendations, please list them in the comments! WOW! Bergen looks incredible. Norway is on my list to-visit soon and I think Bergen might be where I head! I love Norway! In 2018, I was there twice for a total of a month. Most of the time was spent in the Oslo region, but on my November trip, my cousin arranged for us to take the train from Oslo to Bergen (recommended!) and then fly back. I was only able to spend two days in Bergen, but I enjoyed it tremendously. November in Norway is a bit limiting because it was overcast almost all the time. I wish I had been able to see the old harbour buildings with a bit of sunshine to pop the colours! Of course, every visitor should take the Fløibanen for a great view of the city. My recommendation is to go twice, once in the daytime and once after dark. The night view over the city is certainly worth the second trip to the top.